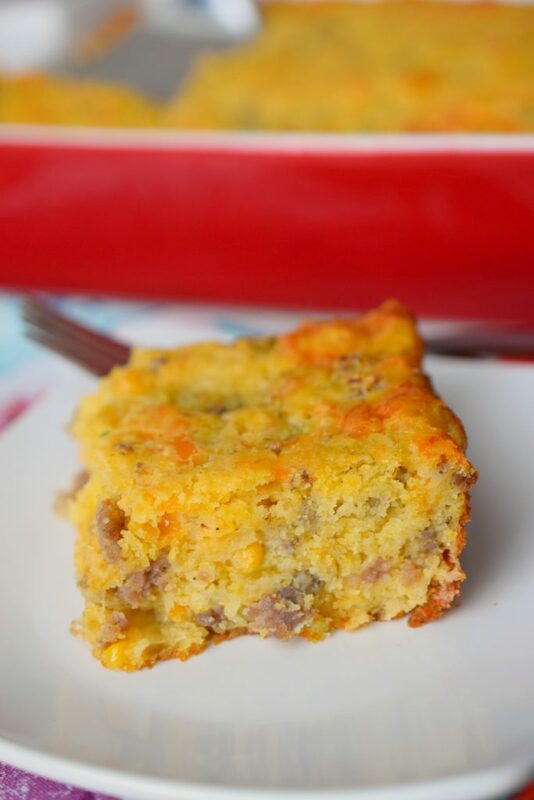 Sausage & Green Chile Cornbread - Who Needs A Cape? 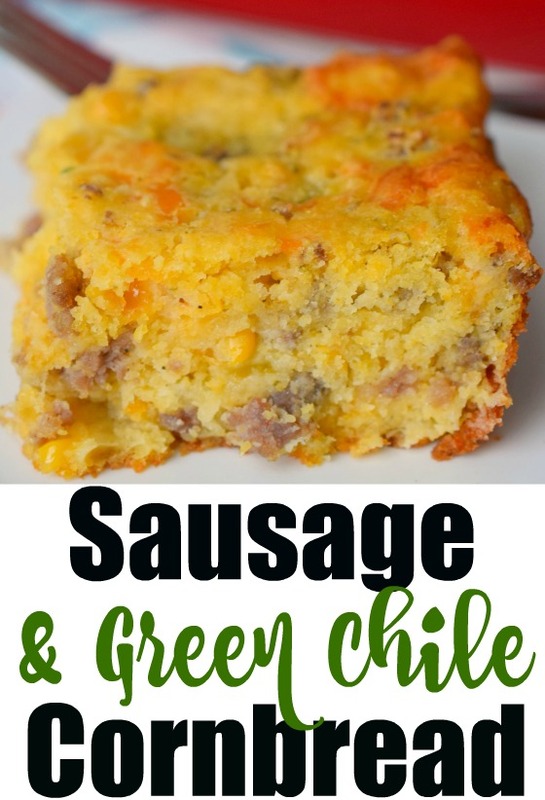 Sausage & Green Chile Cornbread is almost a meal in itself. 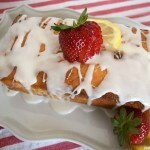 Perfect for brunch or as part of a holiday meal. You’ll love this deliciously easy side dish. This post is sponsored by Tyson. As always, all thoughts and opinions are my own. Is everyone getting excited about the holiday season? We sure are around here! In fact, my husband just headed up into our attic storage space to start unloading the containers of holiday decorations. He’s determined to get a head start on the decorating before the snow starts to fly. Truth be told we’ve been known to have our house decorated before any others on our street, no shame in our game around here! The kitchen is where I focus the majority of my attention during the holiday season. I have a binder of recipes (yes, old school) that I get out at the beginning of November. There’s a section of the binder that’s specifically for the holiday season. 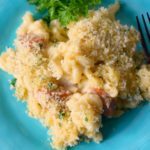 These are the tried and true recipes, the ones my family loves and looks forward to during the holidays. 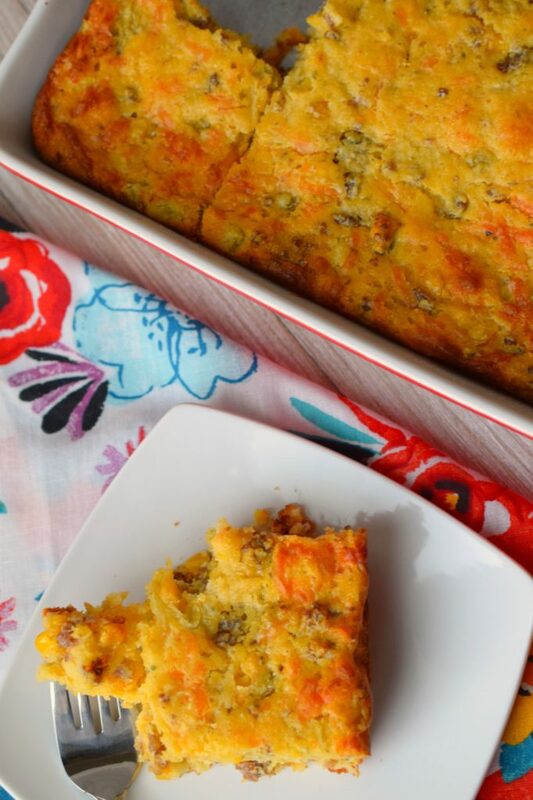 One of these recipes is Sausage & Green Chile Cornbread. 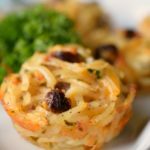 This recipe makes a great addition to a big weekend or holiday brunch, it also makes a fantastic addition to any holiday menu. 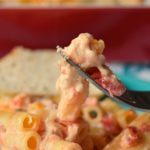 The taste is out of this world good, and it is very easy to prepare. 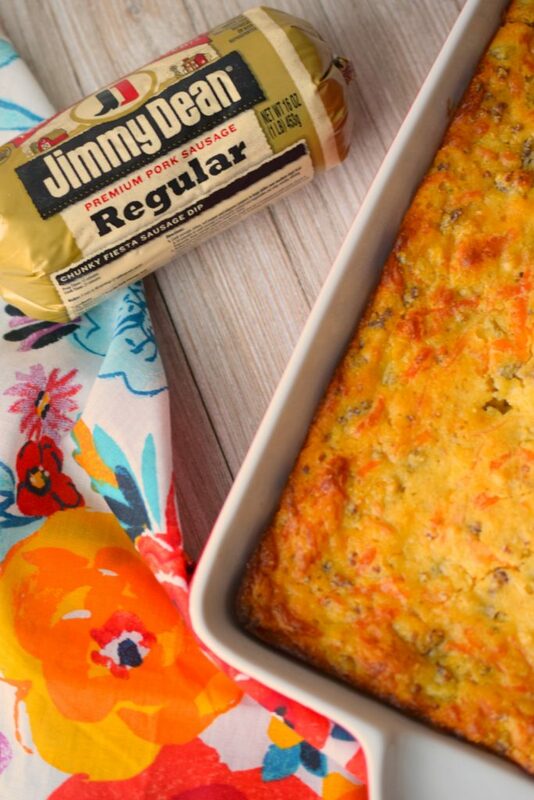 Sausage & Green Chile Cornbread begins with Jimmy Dean® Pork Sausage, which is crumbled and cooked. Right from that very first ingredient, you know this is gonna be good! 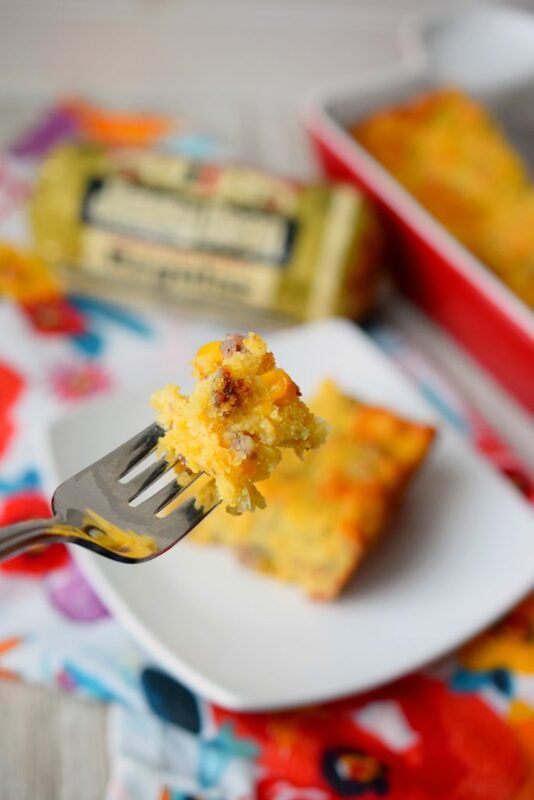 Jimmy Dean® Pork Sausage is the perfect addition to cornbread setting it over the top in the comfort food department. 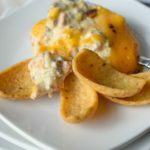 Also in this delicious cornbread, you’ll find diced green chilies, shredded cheese, and creamed corn. All of these ingredients together form one amazing dish that lends itself well to holiday spreads. 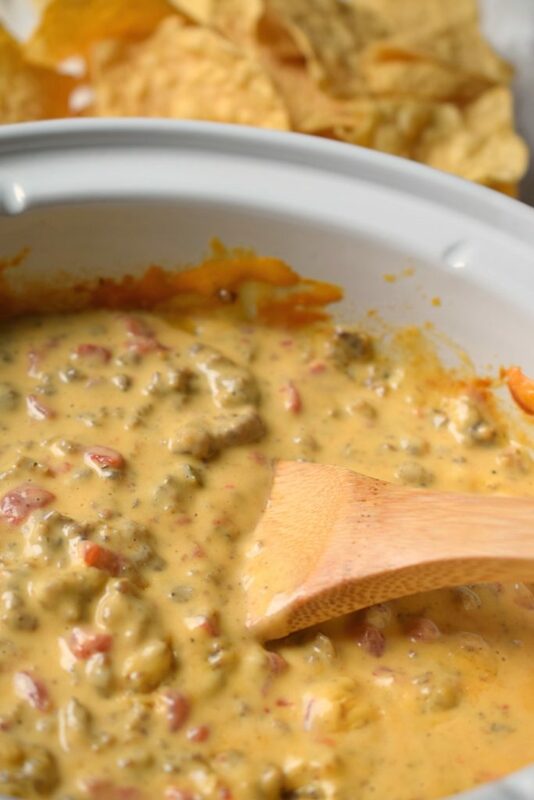 I just know you’ll love how easy this recipe is to prepare and how much flavor it offers. 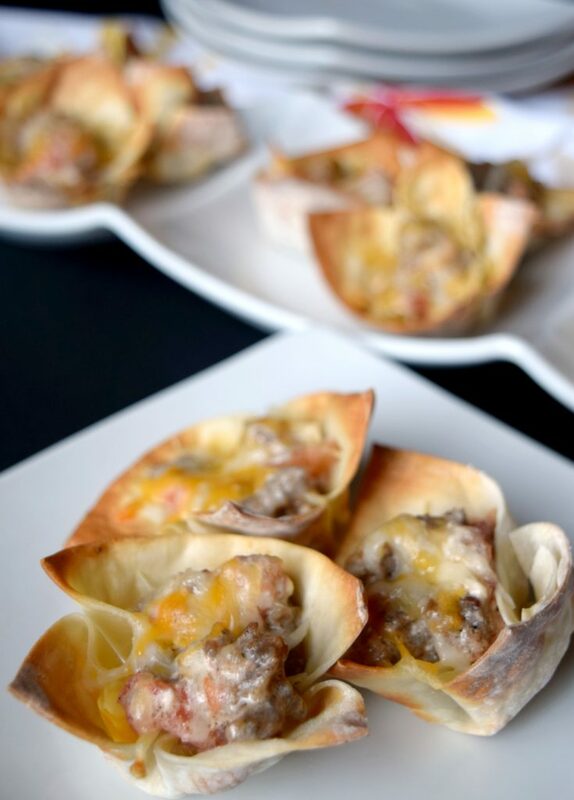 Now tell me, what are you looking forward to cooking this year with Jimmy Dean® Pork Sausage? 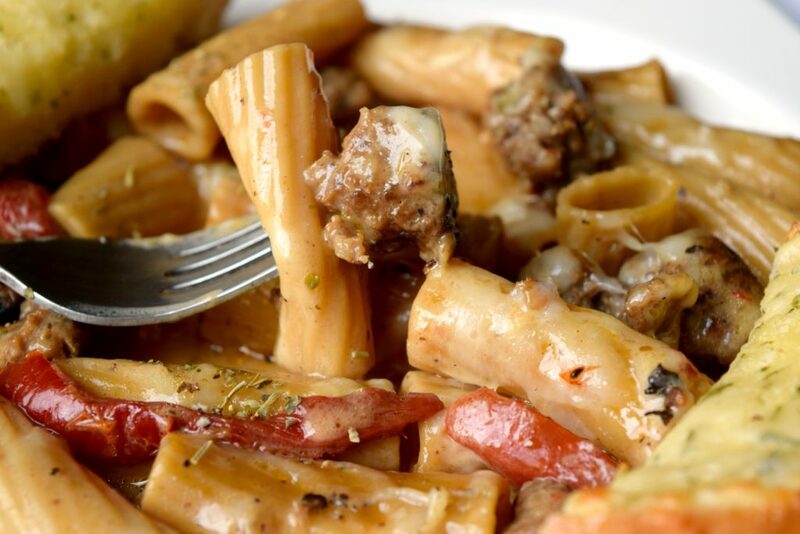 In large skillet, crumble and cook Jimmy Dean® Pork Sausage,until completely cooked through. Drain if necessary. In large mixing bowl combine all other ingredients until mixed. 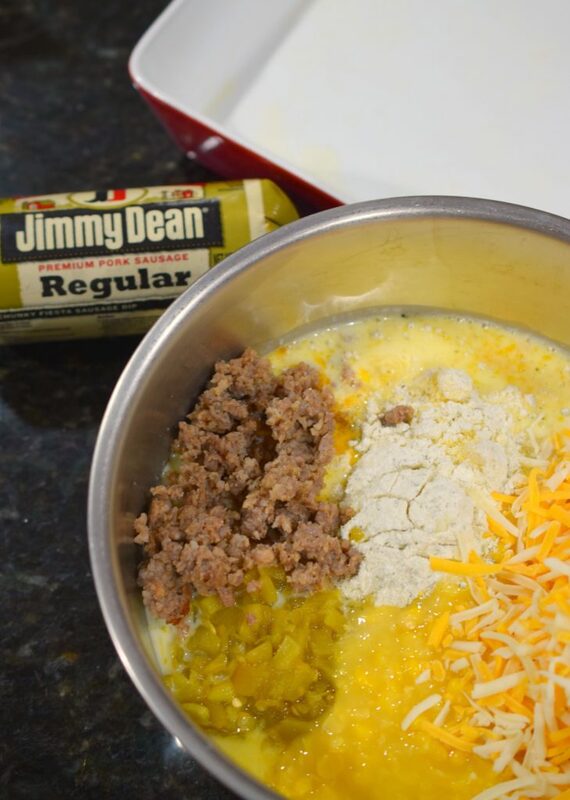 Stir in cooked Jimmy Dean® Pork Sausage. 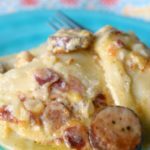 I used Jimmy Dean® Regular Pork Sausage, you can use any variety. I also used shredded Colby/Jack cheese, use any variety you'd like. If you prefer spicier dishes use a hot variety of diced green chilies.